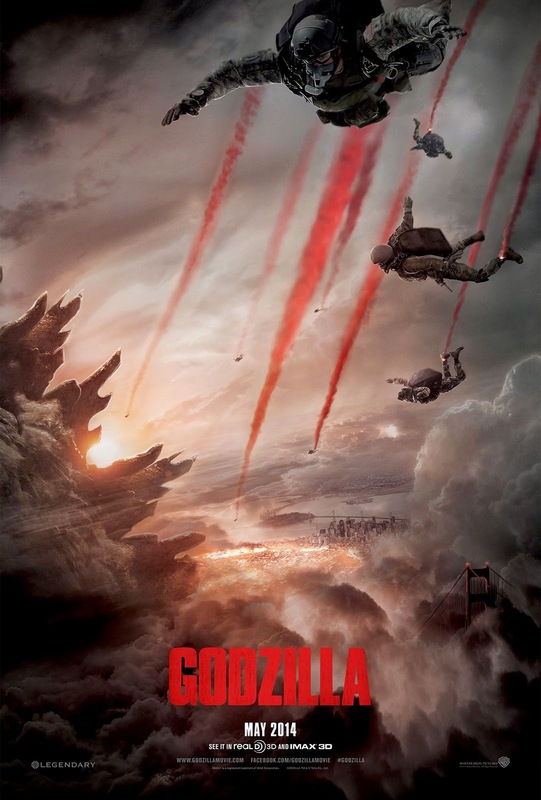 One of our most anticipated films of the year is Gareth Edwards’ Godzilla reboot, and as always, we have recorded an in-depth, spoiler-filled discussion of the movie, with hosts Sean – a lifelong Godzilla fan – and Jonathan – mostly familiar with the original 1954 Gojira – bringing two very different perspectives to the table. I have already reviewed the film twice – here and here – so you all probably know my opinion by now. Sean and I have some disagreements on the film’s content, but still recommend it very strongly, and it makes for an interesting discussion. Some talk about recent Halo news and other random video game stuff rounds out the episode. Enjoy the show, and come back later this week – yes, it’s a two podcast week! – for a bonus episode in which Sean and I review Persona 3 The Movie: #1 Spring of Birth, which just arrived on Blu-Ray. Y’all know we’re Persona fans here. This time, we’ve split the Persona talk into a separate episode for listeners who don’t belong to that particular niche. If you want to skip the Persona episode, don’t worry – we’ll be back next week discussing X-Men: Days of Future Past and lots more! I believe this movie had small homages to earlier iconic sci-fi movies. Ford blowing up the M.U.T.O. nest reminded me a little of Ripley blowing up the Alien nest at the end of ‘Aliens’. The M.U.T.O.’s were actually beating Godzilla to death and the burning nest distracted them enough that Godzilla was able to regroup. I also saw homages to Spielberg with the slow reveals like in JAWS and Jurassic Park, and with the theme about how humans can’t control nature. The triumphant roar by Godzilla at the end was so much like the T-Rex in Jurassic Park that I half expected the “When dinosaurs ruled the earth” banner to fall before him.